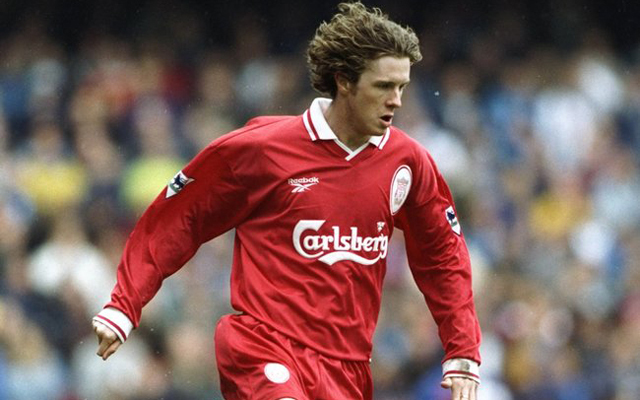 The Daily Mail have put together a list of players for Liverpool’s best Premier League XI. There’s doesn’t seem to be any particular reason for the timing of the story – the article itself is based around the fact that we’re still waiting on our first top flight title since the league structure was redesigned in the early 1990s. However, they have at least gone a little off track with their suggestions, a couple of which particularly stand out. In the list below, we debate their picks and suggest who we might have gone with instead. Despite only winning two trophies during his time at the club – the FA Cup and the League Cup – the Spaniard was undoubtedly the most consistent of the goalkeepers we’ve had over the last two decades. Jerzy Dudek will, in the future, perhaps be better remembered for his penalty saves in Istanbul; but Reina was surely the superior keeper. Where’s this one come from? The German only played 42 league games in four years at Anfield. He played an important role in helping us win five trophies in 2001 but in terms of longevity and consistency there’s no doubting the fact that Steve Finnan has been by far our best right-backs of the Premier League era. An automatic pick, who wouldn’t be far away from an all-time Liverpool XI. He might not have had the same natural talent as some of the greats of the past but in terms of heart, work-rate and commitment to the cause, no one can beat him. He played over 700 games for us before eventually hanging up his boots two years ago. Martin Skrtel is probably one of the few players in the current crop of Liverpool stars who might have been close to this side. However, the big Finn is undoubtedly ahead of him for the time being. He helped us win the treble in 2001, as well as the Champions League four years later – and everyone remembers that goal against Juventus. 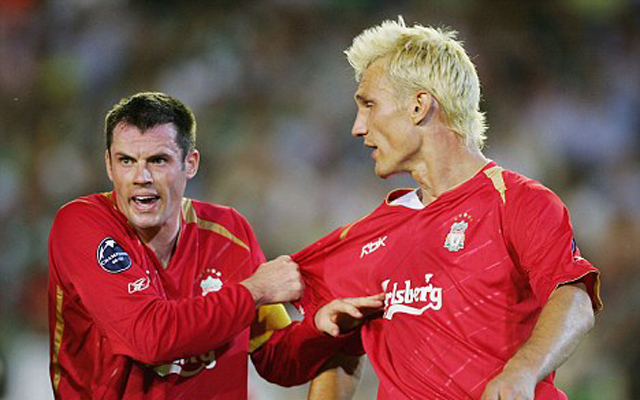 The Scandinavian full-back spent seven years at Liverpool, where he became renowned for his powerful runs down the left-hand side and his impossible to stop shots from distance – a statement former Manchester United forward Alan Smith will definitely agree with. We’re arguably still attempting to replace him, with no one coming close.